Home » Blog » Miscellaneous » Home again, home again – well a while ago actually! Home again, home again – well a while ago actually! Well, this is a bit overdue but better late than never right? As some of you may already know, we’ve actually been home in Edmonton for over a month now. Life has been a bit hectic to say the least but I wanted to do a quick update post to let you know what’s happening and when you can expect to see the rest of the trip. 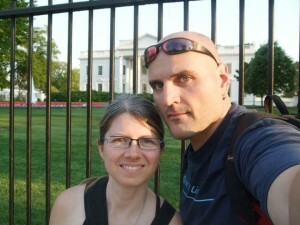 So we got back June 1st after spending 5.5 months on the road and traveling over 17,000 miles (approx. 27,300 km) in the RV and car combined. It was quite a journey to say the least. Once we got home we actually slept in the RV in our driveway for 4 more nights until we could get the house set up to live in again, and really the RV actually felt more like home at that point than our empty house. The cats, given the choice with the doors opened, chose to go hang out back in the RV on the bed mostly. We actually had to make them come in the house and not go hide in the basement somewhere. 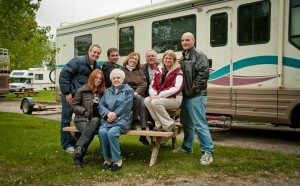 So when we tell people we (cat’s included) really felt at home in the RV, we really do mean it! The first couple days back we set about cleaning the carpets in our bedroom, bringing up furniture from its storage area downstairs, and setting up the kitchen, bedroom and bathroom again into a somewhat usable state. After about a week it finally felt real and we were in the house full time again. To give you a quick update on the rest of the trip since our last post, here’s a summary. After leaving New Orleans we spent a week in Orlando (well Kissimmee), a week in Savannah, Georgia, and headed up the east coast stopping in North Carolina, Washington DC, Philadelphia, New York City, Cape Cod Maine, into the Canadian maritimes, and finally west to Quebec for my photography convention. 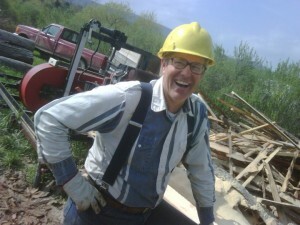 While in Virginia, Rob did a road trip out to see Joel Salatin of Polyface Farms. He’s the farmer from Michael Pollan’s book “The Omnivores Dilemma” and from the movies Food Inc and Fresh. The farmer we buy our eggs and chickens from here in Edmonton is a student of Joel’s and uses the same farming practices. Rob had Polyface Farms on his “Must see” list before we even left. When he got to the farm, they were building a new store and Joel was there cutting his own trees to create lumber for it. Rob was able to shake his hand and share with him how important the work was that he was doing. 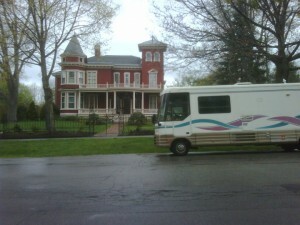 In Bangor Maine, we parked the RV in front of Stephen King’s house and took a photo. Our car, towed behind us, was blocking the entrance to his house. Someone leaving the house honked at us as they maneuvered their car around ours. Whoops. After convention we spent a few days in Montreal and then headed back into the US to avoid the ridiculously high gas prices in QC and ON. We had been paying about $2.65 per gallon in the States and in QC it was $1.35 a liter which works out to about $5.40 a gallon, yikes! You can see our entire trip log map for a good overview of our adventure. We also both wanted to see upstate NY and I wanted to visit the birthplace of Kodak, Eastman Kodak house in Rochester, NY. 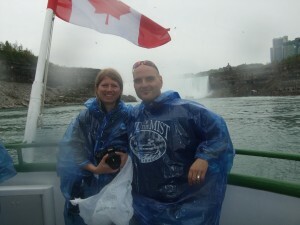 Rob had never been to Niagra Falls, so while parked in Rochester, we drove our toad to the US side first where we took the Lady of the Mist boat ride. Then crossed the US/Canada border to see the falls from the Canadian side. After a few hours there, we drove up to the wine region where we visited 5 wineries before having supper in St Catherines (sushi). 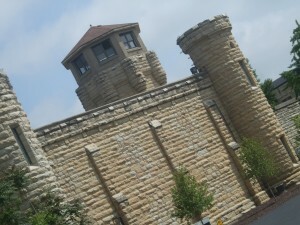 We were lucky to make it back across the border to our RV when the border crossing guard simply could not figure out how we were driving back to our RV which was already in the US. He could not fathom how we drove 2 vehicles around the country and Rob had to explain gently that we towed our car behind us. It was a very unusual exchange of words and we had to be careful about how we described our situation. 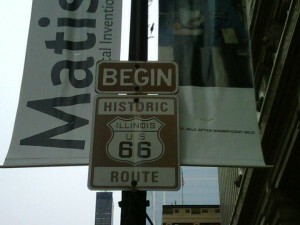 From there we started our final journey west and eventually north, stopping in Chicago where we went up the Sears tower to the 103rd floor, saw the start marker of Route 66, had Chicago style deep dish pizza and toured the art gallery. 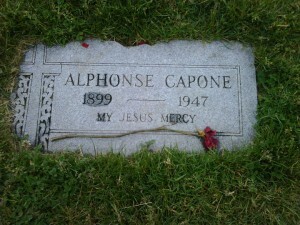 Rob took a day to himself to visit some Blues Brothers filming locations, and Al Capone stuff including his grave site. After Chicago, we made our way through Millwaukee and North Dakota where we actually saw nothing (there’s a story there but you’ll have to wait for it) and Unity Saskatchewan and Calgary, AB – both of the last stops to visit some of our older family members Rob’s uncles (in their late 80s) and my Grammy also late 80s. Most of the stops along this journey were short 3-4 days with the exception of Florida and Savannah which were a week each. So we did a lot of moving, and a lot of touring and seeing new places. It got really grueling and tiring after a while and I think eventually we were both glad to be in one place for an extended time. We both even enjoyed the fact we have more than one room we can each go escape to, or friends to go visit for coffee or lunch and have some time apart for a while after having been together basically 24/7 the whole trip. A little separation was nice as we settled back into our life here. So, you can expect to see posts sporadically quite honestly. My sister has had a new baby and I’ve got art shows to get ready for this summer, and as well we are attempting to do a house renovation and finish our unfinished basement into a rental suite. Yes we are nuts! So we haven’t forgotten about our readers and fans and will get it all caught up eventually, just be patient with us please! Oil Changes: Three. One in Texas, one in New Brunswick and one for the car in North Carolina. Miles Per Gallon: lowest was 6.25 and best was 7.75 miles per gallon. Fuel Anomaly: Paid $3.99 a gallon in Death Valley in the car, but only got $10 worth so we could get out of the valley. Total Fuel Cost: Approx $4,000 in fuel. Border Crossings: Crossed the Canada/US border 6 times and the US/Mexico border once. Twice for Rob. Interesting Facts: Crossed two of the worlds longest bridges, across Lake Ponchatrain in Louisiana and the Confederation Bridge in PEI Canada. Photo Credits and Note: All the pictures on this page except for the last one were taken either on Rob’s Blackberry Bold, or our pocket camera. Will there be backposts of your journey up the East coast and back to home? I look really puffy in that first photo at the White house and I don’t want to talk about it. It was a weird few weeks of food. I am really happy to have you back home . It’s nice to be able to see these photos and a write up about the trip – will look forward to following posts. 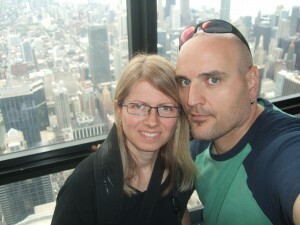 Almost six month of travel in couple – what an adventure and dream realized! Hey I have a question. We live in Alaska and are going to leave as soon as our house sells. That could be in the dead of winter. We have a big heavy 40 footer on a freightliner chassis. Weighs 22,000 lbs when empty. You are the only people we know who camp in the cold like we do. Now, we made the trip up the Alaska Highway in -50 in a Dodge Durango in Jan. So we are pretty fearless. Wondering what you think about us driving the highway since the temps are similar to yours. Do you have articles here or any suggestions such as tires you have or need tire chains. We have thought through the battery issue because our dealer blew up our batteries 2 winters in a row while it was in shop for repairs. Do you suggest winterizing then dewinterizing when you get to lower 48 and do you have suggestions for tow vehicle? Do you now insulate your water lines and such? Ours has to be on a tow dolly. Thank you! Love your blog. Well we didn’t actually camp in the coldest weather. It just isn’t practical and there are several issues we ran into. 1 – no campgrounds are opened in the areas you’ll be driving through. We couldn’t even find one opened in Calgary – a major city. I can’t imagine you’ll find any opened and if you do they certainly won’t have services. 2 – yes insulated and actually heated hoses will be necessary. They wanted something like $20 a foot for the heated stuff – insulated just isn’t enough. We didn’t fork out for that because we knew as we headed south it would get warmer and yes definitely winterize back home before it freezes there. We didn’t unwinterized until Nevada. 3 – everything freezes. We know now to put the furnace on to heat the entire inside while driving (be prepared to use a LOT of gas!) but the cabin batteries were frozen solid until we hit less frosty weather. Utah maybe where it was above freezing daytime, below at night. Even there they recommended the heated hoses if you want water hook ups. 4 – driving is also an issue. We went super slow and luckily didn’t hit any really bad weather or snow storms. We didn’t have chains, they’re illegal in Canada – so you can’t come through with them. BC I’m not sure, they might allow it. But driving through those mountains in winter – I wouldn’t do it. 5 – we have a car dolly too and towed our vehicle. I’d say make sure you have brakes installed ON the dolly as well that are linked to the brakes of the RV. So when you brake the RV the dolly brakes too. Otherwise it’s a heavy load on the RV brakes and they could overheat and fail. 6 – tire pressure is an issue too. We had low pressure when we left and no gas station had their air hoses out even – it was that cold. Get a good pump – the one we bought isn’t good enough to do a tire. Invest a couple hundred bucks on a good one and a tire gauge that reaches the inside wheels too if you have duels like we do. Well – best of luck! Where you heading to? The batteries were not frozen solid. They were fine. You’ve gotten me really curious about winter RV camping now though. I’d love to see if it could be done for any length of time. I’ve been thinking about this a lot now since you asked your question. As for winterizing, we roughed it until we got far enough south. No water, no onboard toilet. We used public facilities for all that.